My Favorite Social Media Icon Plugin! Today I am going to share my favorite social media icon plugin with you! It is really simple to install and the icons will look clean and beautiful on your site! This tutorial is for self-hosted wordpress blogs. 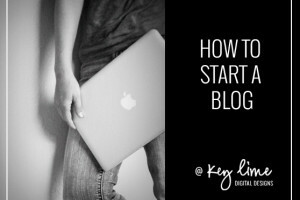 If you don’t have a blog, or want to switch to wordpress you can read this pots, How to Start a Blog. I think it is a pretty safe bet to say that almost all bloggers use social media networks to engage with their readers, which is why it is good to have a set of social media icons on your blog. Typically, social media icons are near the very top of a site either in the header or at the top of the sidebar. Alright, Let’s dive in! I am going to use my blog as the example. See those social media icons? If you hover over them they change colors. Fun! The plugin used is called Simple Social Icons by Studiopress. It is totally free! To install, login to your WordPress dashboard. Look on the left hand side for ‘Plugins’ and select it. Now on the lefthand side of your dashboard to go to ‘Appearance’ and then ‘Widgets.’ You should see a new widget option. Drag the widget to the location you would like it on your sidebar. I have mine almost at the very top. Open the widget and you will see the following options. Input your information and save! Click save and you have beautiful customized social media icons! The colors are done with a HEX CODE. A hex code is a number sign and then a mixture of 6 numbers and letters. You can find hex codes for any color at Color Picker. At the top of the widget you can choose to have your social media pages open in a new window. I like this option! This tutorial is for Worpress.org blogs. If you are using Blogger you can read this post on how to add social media icons to your sidebar. 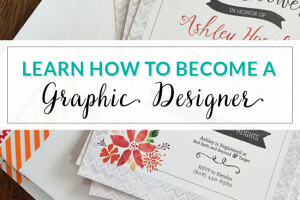 If you like learning about blog design follow my blogging tips pinterest board! Thank you so much! I have been trying to figure out how to do this with my new blog, without much success. This is great, your step-by-step process is easy to follow. I will have them working in no time. Thanks for the great info, Kendra! I also love your social sharing buttons on the bottom of your posts. Are you using a plug-in for those too? If so, could you share the name? Thanks again! Hi! Thanks Sara! I actually made those graphics and then coded them. It isn’t to tricky so I should add that to my list of tutorials to work on! Perfect. Thanks for making this so simple and easy to understand! Worked great for my blog!